So if Sinatra was the greatest, man or woman, who is the woman who would share the podium with him if there a crowning of the king and queen of the American Songbook? I'm torn between Ella Fitzgerald and Doris Day. Last edited by Corlyss_D on Tue Jul 04, 2006 12:33 pm, edited 1 time in total. I know you hate her political side (and I find her annoying to an extent too), but I'd still have to go with Babs Streisand. I'd have to go with Ella. Corlyss_D wrote: So if Sinatra was the greatest, man or woman, who is the woman who would share the podium with him if there a crowning of the king and queen of the American Songbook? Rosemary Clooney is very high on my list. I think I would give Ella first place though. Like her buddy Mel Torme, she was in both the pop and jazz camps. As a jazz singer she improvised brilliantly with the music and as a pop singer she interpreted lyrics like a great actress. Haydnseek wrote: as a pop singer she interpreted lyrics like a great actress. You hit the nail on the head. I couldn't put my finger on why she was so compelling an artist across such a wide range of repertoire, but I think you did. Plus her voice sounds arch only when she wants it too. I'll take Billie Holiday any day! Holiday, like Louis Armstrong, reinvented a melody so thoroughly that it almost became a new composition. I love what they did! But if you're crowning a "queen of the American Songbook" I think you're looking for someone who is more faithful to the songwriter's intentions even if she "interprets" a great deal. I would also think you want someone who appeals to a very wide spectrum of listeners from connoisseurs to average folks - a voice that is instantly recognized and enjoyed by just about everyone. Sinatra, Crosby and Cole are like that and so is Ella Fitzgerald. At the risk of seeming like the Wicked Witch of the West appearing in the middle of Munchkinland to spoil the fun, if you are talking about fidelity to the intention of the songwriter, everyone messes up, even Judy Garland (very slightly) in the original rendition of Over the Rainbow (listen to the phrase "skies are blue"). Harold Arlen, Irving Berlin, and Cole Porter among many others expected their songs to be done straight (as Fred Astair did, though he was not a great singer). They were more in an operetta than in an anything goes (pun intended) pop-rock-jazz tradition. I didn't express myself well - no surprise in that. I don't expect a good singer of popular songs to be slavishly faithful to the composer's intentions but jazz singers like Billie Holiday, Sarah Vaughan, Carmen McCrae can stray so far from the original tune that it almost becomes a different song altogether. I like what they do very much. Fitzgerald could do that too when she was in full jazz mode but usually she preserved more of the original tune in her performances. Her Songbook Albums aren't really jazz records at all. Last edited by Haydnseek on Sat Feb 04, 2006 3:42 pm, edited 1 time in total. There's a big big difference between tasteful ornamentation, which all these singers are capable of and often do, and so completely distorting the melodic line that it becomes for all practical purposes a completely different thing than the singer was handed at the beginning of the session. I don't mind mild ornamentation and improvisation. But if I like the song as it was writ, I'm likely to disdain a lot of either. I started to do this riff when Barry mentioned Babs. Her politics aside, she has a beautiful voice and is perfectly capable of not screeching at full voice at the conclusion of every song and ornamenting the hell out of the restatement, but rare are the ones where she chooses not to do so. More's the pity. That's my biggest complaint about her. Rondstat's politics are equally execreble but under the hand of Nelson Riddle, there are only a few more elegant and beautiful and wholly satisfying singers of the Songbook. IMO Billie Holiday's voice and idiosyncrasies are an acquired taste and I don't really have it yet. Maybe later. But de gustibus. I know a few fans of the songbook who simply adore her. A new singer who sounds similar, and has gained some fame for her similarity, is Madelyn Peyroux. I prefer her voice to Holiday's because she sounds different enough to please my ear. Last edited by Corlyss_D on Sat Feb 04, 2006 4:06 pm, edited 1 time in total. Haydnseek wrote: I didn't express myself well - no surprise in that. I don't expect a good singer of popular songs to be slavishly faithful to the composer's intentions but jazz singers like Billie Holiday, Sarah Vaughan, Carmen McCrae can stray so far from the original tune that it almost becomes a different song altogether. Fitzgerald could do that too when she was in full jazz mode but usually she preserved more of the original tune in her performances. Her Songbook Albums aren't really jazz records at all. Another spot on, Haydn. Plus her voice is so silky and smooth, her delivery so artless and effortless, her musical taste so impeccable, and her range of styles in which she is comfortable and credible so vast, that I guess I have to settle on her, much as I love the way Doris Day sounds and delivers a song. Last edited by Corlyss_D on Sat Feb 04, 2006 4:05 pm, edited 1 time in total. Perhaps I'm betraying my white-bread background here, but I'D have to say PATTI PAGE. In my book, she's "Super-Babe." She never was referred to as a diva, but she's all the better for it. "Mr. And Mississippi" and "Conquest" are in my all-time Hot 100. I'm really stumped on this one. Female pop singer of American song. That is tough! I came along way too late to really know many of these people - what little I've heard says Rosemary Clooney is probably it. Barbara Streisand later on, in spite of herself of course! However, I really don't think Sinatra was the king of American pop song. My choice would clearly be Neil Diamond. By the time I was buying records/tapes he was past his peak probably, but I had hear the Beautiful Noise album at her house when I was a teenager and got his recordings. To my mind, nobody wrote or sang pop music as well as Diamond. He was so original. He was a force unto himself. By the time you get to the 1980s and his "Forever in Bluejeans" phase onwards - it was over. But for what he did in hi heyday - he was the great. Cyril Ignatius wrote: I'm really stumped on this one. Female pop singer of American song. That is tough! However, I really don't think Sinatra was the king of American pop song. My choice would clearly be Neil Diamond. Um, that's like saying the greatest interpreter of Debussy's piano music was Anne Sophie Mutter. Much as I like Diamond, he don't sing the American Songbook. Only people who sing it are eligible. Rondstat wouldn't be except she did 3 albums of the Songbook. Clooney certainly qualifies. She's one of my favs. But not Diamond. So wanna try again? Maybe the term "Great American Songbook" needs to be defined. Usually, it refers to the songs written from roughly about 1920 to 1950. Kern, Berlin, Gershwin, Porter, Arlen, Duke, Warren, Rodgers – that sort of thing. It does seem to have been a distinct era of songwriting, viewed in retrospect. Oops. I guess I misunderstood. Diamond had his own songbook - and he was American. But I see what you mean - he didn't sing the poular tunes of others very much. How about Presley? He didn't write much, and he did get into a variety of other's work. On the female side - how about Joan Baez? Not politically, mind you, but artistically she had a good voice and sang popular songs. They were all part of a new era in popular music which produced its own share of good songs. You're right. I should have thought of that. Cyril Ignatius wrote: Oops. I guess I misunderstood. Diamond had his own songbook - and he was American. But I see what you mean - he didn't sing the poular tunes of others very much. Nope. They need to sing the songs of the Songbook. There's a ton of new singers who do sing the Book, like Pizzarelli and Mulaskey and Peters and Sutton and Buble, but Elvis and Baez aren't among them. Contenders have to sing the songs the composers Haydn listed. Kiri Te Kanewa and Jessye Norman sing them because the songs are beautiful. But they don't make the my list. There are voices associated with the Songbook, like Sinatra, Ella Fitzgerald, Tony Bennett, Vic Damone, Nat Cole, Judy Garland, Billy Ecstein, Mel Torme, Bobby Short, Doris Day, Rosie Clooney, Jo Stafford, Steve Lawrence, Eydie Gorme, Keely Smith, Louis Armstrong, Johnny Mathis, sometimes even Patty Page and Patsy Cline, The Ink Spots, and some instrumentalists like Art Tatum, Artie Shaw, Benny Goodman, the Dorsey Brothers, Glenn Miller. I'm sure there are others I've left out. But they all sing or play the songs by those composers. Cyril, take a look here. It will give you a better idea than I can. Last edited by Corlyss_D on Sat Feb 04, 2006 10:52 pm, edited 2 times in total. I agree that Sinatra was not the king of the songbook. For me its hard to beat Tony Bennett. And if you are a fan of Star Trek: Deep Space Nine , you know that James Darren has to be up there, too. And may I mention that one of my favorites of all time was Paul Robeson? As for women, I am very strongly in favor of Billie Holliday at the top of the heap. Rosemary Clooney is close, but others that should compete are Dianne Reeves and Bette Midler. By the way, are there any fans of singer Annette Hanshaw here? I’d heard of her but never listened to her until I bought a set of early jazz recordings by Eddie Lang and Joe Venuti on which she joins them for a few songs. She lived from 1901 to 1985 but her career was in the 1920’s and early 1930’s. She made her last recording in 1934 and last radio broadcast in 1937 after which she retired to be a housewife. She was very attractive and influenced fashion in the Jazz Age through her personal style. Hollywood wanted her but she turned them down. Apparently she was a shy and modest young woman who didn’t fully grasp how very good she was. Musicians thought highly of her. On first hearing she didn’t make an especially strong impression on me, but repeated listenings revealed a singer of taste and considerable charm. She was ahead of her time with her sense of swing and naturalness in an era when affectation seemed to be the rule. You can tell that she listened to the musicians and knew what the arrangement was all about and did her part to make it work. I’ll be looking for more of her recordings. Didja know MARIAH CAREY was one of the major Grammy winners at the recent ceremony? Perish the thought of HER tackling the Great American Songbook when she runs out of "good material" to perform. A look through my CD collection this evening reminded me of a singer who had quite a lot to do with establishing the concept of the American Songbook: Lee Wiley. If you like your music mellow and swinging gently, Lee is your girl. "Lee Wiley (9 October 1915 - 11 December 1975) was an American jazz singer popular in the 1930s, 1940s and 1950s. Although today less well-known than such singers of the same era as Billie Holiday, Wiley is nonetheless still much appreciated by jazz aficionados and nearly all her recordings are in print. Although she had only a small voice, she possessed an attractive, slightly husky tone and delivered lyrics with warmth and intimacy." "In 1939, Wiley make an album of Gershwin songs with a small group. The record sold well and was followed by albums dedicated to Cole Porter (1940) and Richard Rodgers & Lorenz Hart (1940 and 1954), Harold Arlen (1943), and Vincent Youmans and Irving Berlin (1951). The players on these recordings included such musicians as Bud Freeman, Max Kaminsky, Fats Waller, Billy Butterfield, Bobby Hackett, Eddie Condon, and the bandleader Jess Stacy, the latter to whom Wiley was married for a number of years. These influential albums launched the concept of a "songbook", which was later widely imitated by other singers." ANNE MURRAY and PETULA CLARK. Only if they sang the songs in the Songbook. Oddly enough, Sinatra has done Don't Sleep in the Subway, but I've never heard Clark do any of the songs. I'll put in another vote for Billie Holiday. Madeline Peyroux is a fine singer, but she doesn't even come close to Holiday, in my opinion. But I also do love Ella Fitzgerald, Sarah Vaughn--and--don't know if she should be included here or not--the late, great Nina Simone. edited to add: a few other favorites of mine, who probably fall under the "acquired taste" category: Chet Baker and Julie London. And Peggy Lee. Last edited by miranda on Fri Feb 10, 2006 10:38 am, edited 1 time in total. 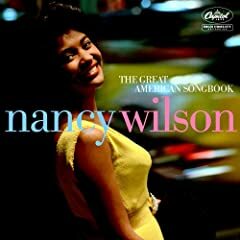 No one has mentioned Nancy Wilson. She made about 60 albums (I think she is retired) and she was Capitol Records best selling artist for a time after the Beatles and ahead of Sinatra and Nat King Cole. She sang some R&B but the Songbook was central in her work. I imagine he was joking, hon. Anne Murray was a dancer and Pet Clark a one-hit wonder. jbuck919 wrote: I imagine he was joking, hon. Anne Murray was a dancer and Pet Clark a one-hit wonder. "Born November 15, with "a voice as sweet as chapel bells," Petula Clark first broke into the limelight during World War II when as a child she entertained the troops, both on radio and in concert. She is said to have performed in over 200 shows for the forces all over England before the age of nine and by war's end, Petula Clark--the British "Shirley Temple" who had come to represent childhood itself--was so popular in England she was asked to sing at a national victory celebration at Trafalgar Square. In 1944, Petula made her first movie and has since appeared in over 30 British and American films. Throughout the forties and fifties Petula was a regular guest on a vast number of radio shows and became something of a television "pioneer" in England, first appearing on experimental TV in the forties and later as host of several of her own television series during the very early years of British programming, with Pet's Parlour being her longest running and most popular. Although she sang regularly in concert, on radio and TV all through the forties, it wasn't until 1949 that she recorded her first song Music, Music, Music and that pretty much sums up her very prolific recording career. She has never stopped recording — 50 plus years and over a 1,000 songs and still counting! Her first hits were children's songs like Where Did My Snowman Go (1952) and The Little Shoemaker (1954). To date, she has sold well in excess of 68 million records. In answer to the rock-and-roll craze of the late fifties, Petula recorded Sailor, Romeo and My Friend The Sea and was back on the charts again. In 1957, she was invited to sing at the famed Olympia theatre in France. After one song the French crowd went wild, and an entirely new career was launched. Urged by her friends in Britain to record something in English, Petula allowed Tony Hatch to visit her in Paris where he presented his new song, Downtown. Petula recorded it and the rest is music history. Downtown skyrocketed to number 1 in the USA, launching Petula's American career and earning her a Grammy in 1964. She quickly followed with I Know A Place which went to number 3 and earned Petula her second Grammy in 1965. Numerous top 40 hits followed. All told, Pet has had 15 top 40 hits in the USA (two #1 hits). Internationally, Petula Clark has charted in the top 40 somewhere, sometime, with 159 recordings!" I think I made my point. Judy Garland and Julie Andrews have a better chance, and I'm willing to go with the original selections from the earlier part of this thread, not that pop singers should be of the slightest interest on a classical music board, even in the Pub (huge ho-hum). There may be an Anne Murray who dances, but the Anne Murray I'm thinking of is a fine Canadian singer with a beautiful alto voice that can do the repetoire. I guess you never heard Snowbird back in the late 60s early 70s. I just never heard her do the songs from the Songbook, but I see from her website that she does indeed do it. So yes, she qualifies. Petula Clark was more than a one-hit wonder, but I haven't heard her do any songs from the Songbook. Wallingford wrote: Perish the thought of HER tackling the Great American Songbook when she runs out of "good material" to perform. There were a couple of the new singers of THE BOOK up for Grammys this year. Michael Buble and Tierney Sutton. Carly Simon's cut at the Book was nominated - she turns in some arresting performances, not exactly traditional, but fully credible. Rod Stewart has done more to bring the music to new audiences than probably anyone in the last 10 years, and his 4th disc of music from the Book was nominated too. There's an audience out there for it, no question. I'd just as soon Carey stay away from it. Haydnseek wrote: A look through my CD collection this evening reminded me of a singer who had quite a lot to do with establishing the concept of the American Songbook: Lee Wiley. If you like your music mellow and swinging gently, Lee is your girl. You're way more into this than I have been - I've only been listening since November extensively. One of the reasons I started this thread was to get you and Ted to disgorge some of your vast knowledge. Ted is otherwise occupied for the time being so it looks like you're it! I never heard of Wiley or Henshaw. Thanks for the tips. miranda wrote: I'll put in another vote for Billie Holiday. I agree - she has a long way to go. But one of her most attractive features as been the similarity her voice has to Billie Holiday's. At least if you like it. I like it because it's not exactly like Holiday's. Oh, you've raised a couple more of my favs - Julie London and Peggy Lee. I like Vaughn but I can't honestly tell her voice from others when I hear it. I also really like the character of Della Reese's voice but I don't hear much of her. Corlyss_D wrote: Thanks for the tips. You're welcome! You might want to look at the offerings from the UK label Proper which specializes in music of many genres from the 1920s into the 1950s. Check out their 4 CD Box sets and 2 CD "Pairs." You'll find Jo Stafford, Peggy Lee, Anita O'Day, Ella Ftizgerald, Billie Holiday, Sarah Vaughan, June Christy, Mel Torme, Nat King Cole, Sinatra, Crosby ... and Doris Day! I readily concede that my choice of Neil Diamond missed the mark here. He was my favorite pop singer by far, but now I think I see the genre you are referring to. If Julie Andrews is fair game, she would be far and away my clear choice. And she's light years beyond Steisand. Better voice and better songs. And here's an injustice that needs to be corrected: "My Love" sold a million here in the US, but the RIAA never certified it like it did "Downtown," and subsequently, the former never got a Gold Record! The public radio program "Riverwalk, Live from the Landing" from San Antonio, Texas has a fine show available for listening "on demand" right now called "Table for Two: A Gershwin Valentine." Hadynseek, you're a treasure trove of information. Thanks for all the links. I can't believe I forgot to mention Anita O'Day, one of my favorite singers. And Dinah Washington. And I do have a major soft spot for Blossom Dearie, she of the small--but swinging---voice. Oh, miranda, Blossom Dearie is not what you would call an icon of the American Songbook, but I have a special fondness for her, too. I have mentioned Dianne Reeves here before, but got no reaction. I really urge ppl to check out her CDs. She is a wonderful artist, and if you have not heard of her, you are missing out on a major find. Two special favorites of mine: Jo Stafford and Dinah Shore. Stafford has a gorgeous voice, and Shore always seems to have a smile in her voice. Reb, I've heard of Reeves, but the voice don't leap readily to mind. What's a really good disc to sample? Michael Buble and Tierney Sutton. There are so many more, but just the fact that you, CD, Utah, ATH Corlyss know who Tierney Sutton is, is a real gift to me.. Looking forward to it. I don't know enough contemporary singers of the Songbook. Ted wrote: There are so many more, but just the fact that you, CD, Utah, ATH Corlyss know who Tierney Sutton is, is a real gift to me. You got me all spun up listening to this purposefully - last spring, remember? I started this thread in hopes you would share your experience with us - me. It’s a woman’s genre…..There are a few men.. Interesting idea I'll have to think about. I can't think of two more exemplary men than Sinatra, esp. from the 40s, and Bennett, althought I really don't care for the latter's voice that much. Like countertenors, the good ones are distinctive, and sometimes the distinctiveness just don't please. Interesting idea I'll have to think about. Paul began singing “Heaven, I’m in Heaven and my heart beats so that I can hardly speak….” He went on to explain that songs like that…American Standards were his inspiration. Everyone, no matter how mired they are in their own musical flavor eventually comes home to the America Songbook. These are the people performers like Sting, Bono, Chrissie Hyde, Rondstat, Carly Simon, Crystal Gale and too many others to mention flock to as soon as they reach their own emotional and artistic maturity. 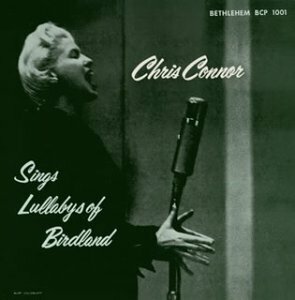 I was listening to the radio program "American Songbook" from WYPR in Baltimore this evening in which host Andy Bienstock played a few recordings from a fine singer I haven't heard for a while: Chris Connor. I've rescued this thread from oblivion in the archives so we can run it in tandem perhaps with the Jazz version of what are you listening to. Besides, I owe a reply to Mourningstar and I knew I listed my faves somewhere. So i see. i have always been a big fan of Gerschwin's songbook. knowing that Summertime is the most covered song from the ASB. what's your favourite cover of it? Mine would be Nina simone but the version of herbie hancock and Joni mitchell is equally interesting to listen. mourningstar wrote: So i see. i have always been a big fan of Gerschwin's songbook. Lena Horne's. I have a version of Porgy & Bess with Armstrong and Fitzgerald. I haven't heard it yet, but she may outdo Lena.